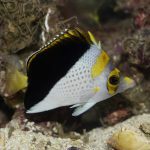 There are somewhere around 88 recognized species of Chaetodon butterflyfish swimming around the coral reefs of the world, which makes it quite challenging when it comes to keeping track of all this biodiversity. 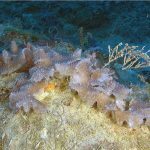 Systems for classifying this mess have varied considerably over the years, with upwards of 14 different subgenera and four disparate and contradictory classifications floating about. 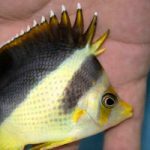 As one study put it, “many Chaetodon subgenera do not clarify taxonomy or phylogeny… [they] have primarily made the discussion of butterflyfish taxonomy more difficult.” But, dear reader, it does not have to be so… there is in fact a far simpler solution that has been hiding in plain sight. 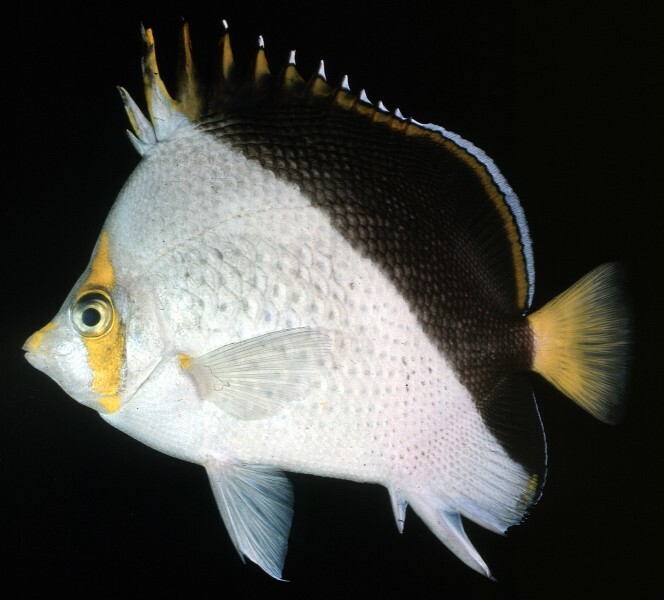 One of the great frustrations with taxonomy is the slow and ponderous manner by which it progresses, and this is plainly evident with Chaetodon. Several exhaustive genetic studies published in the last decade have revealed what had been hinted at in some of the earlier morphological analyses, that there are just a handful of major lineages that define the evolutionary history of this diverse lineage of reef fishes. But, despite this sea change in our understanding, there have been no formal taxonomic changes made yet to our rather baroque classification for this genus. In an effort to rectify this, let’s take a moment to summarize what we know and how best to apply this to the existing nomenclature. 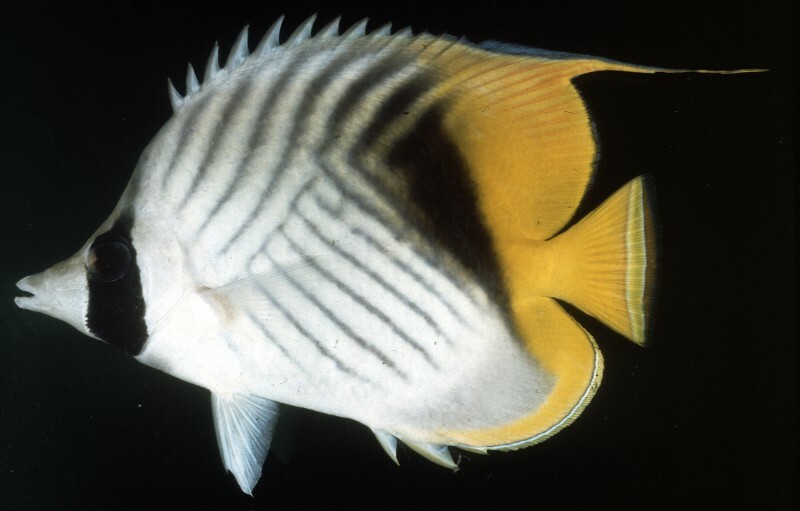 First, the Family Chaetodontidae can be split into a pair of diverse clades, with one referred to as the “bannerfishes” and the other as “butterflyfishes”. In the former, we find such familiar aquarium groups as Heniochus, Forcipiger, Chelmon and Hemitaurichthys. 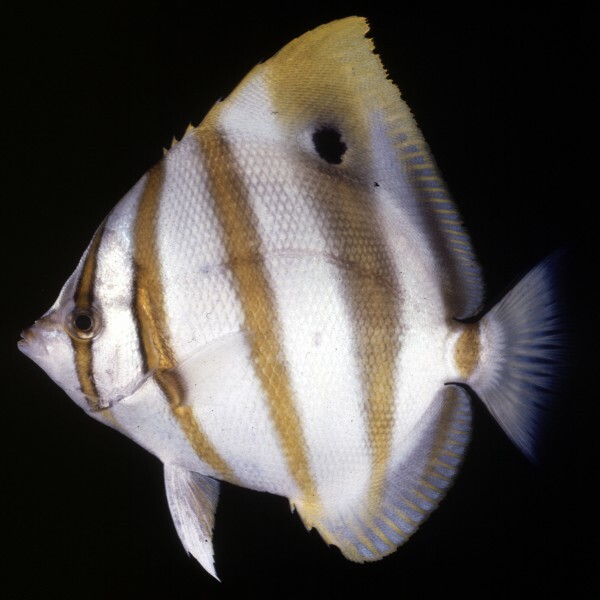 Of course, nobody calls them Copperband Bannerfishes or Longnose Bannerfish, so the distinction is rather confused. 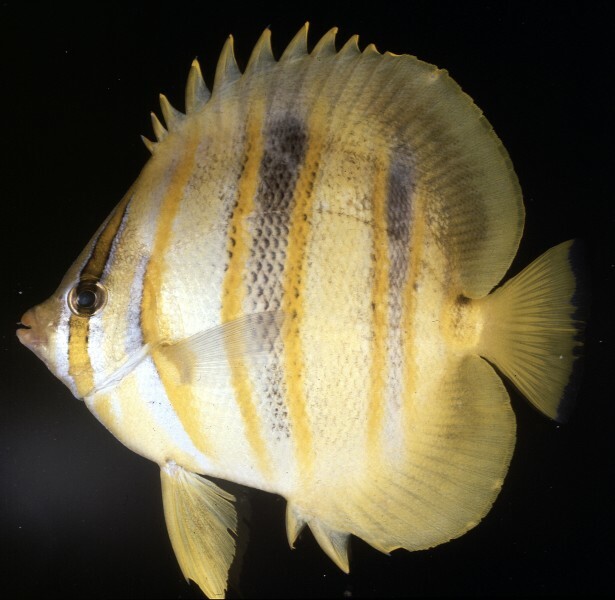 The “true butterflyfishes” are then limited to the huge genus Chaetodon and the much smaller Roa and Prognathodes, which are both primarily found in mesophotic depths. 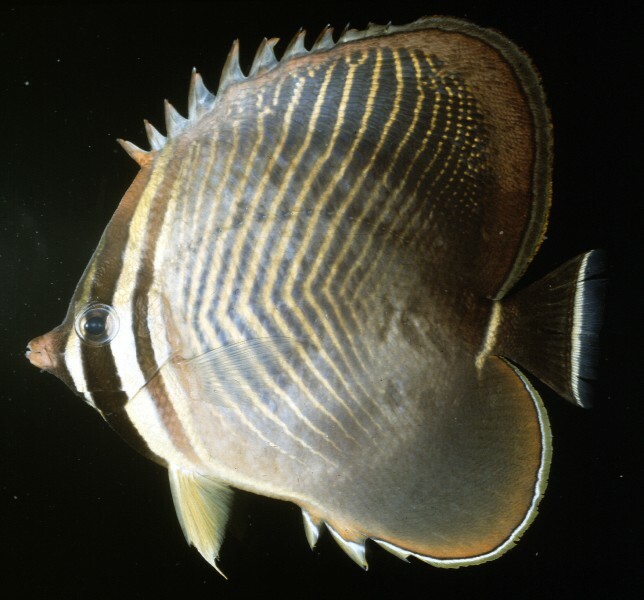 Within Chaetodon, we find four major lineages that average around 14 million years in age and would clearly make for sensible subgenera. 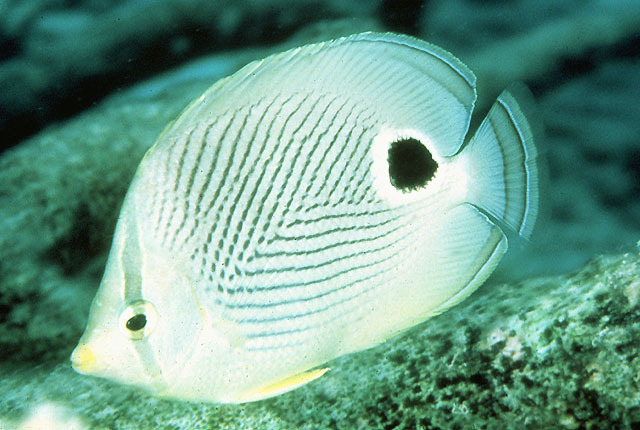 For many families of reef fishes, clades of this age would be recognized as separate genera, but, given how morphologically homogenous these butterflyfishes are, it’s hard to justify such a treatment here. But that’s not to say there aren’t important ecological differences to be found.A pair of unfamiliar species endemic to the Eastern Atlantic Ocean—C. 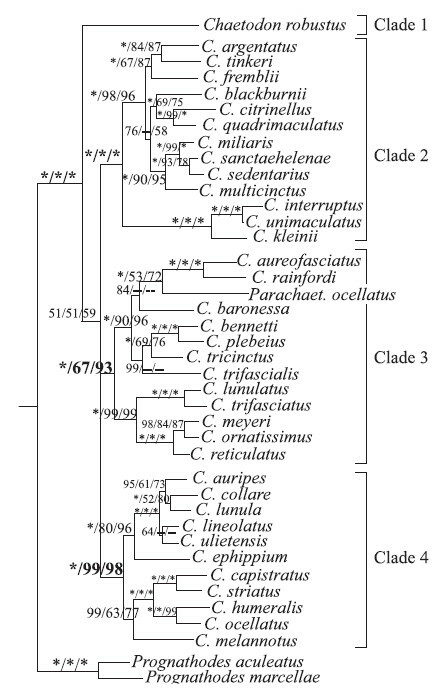 hoefleri and C. robustus—forms the basalmost lineage. 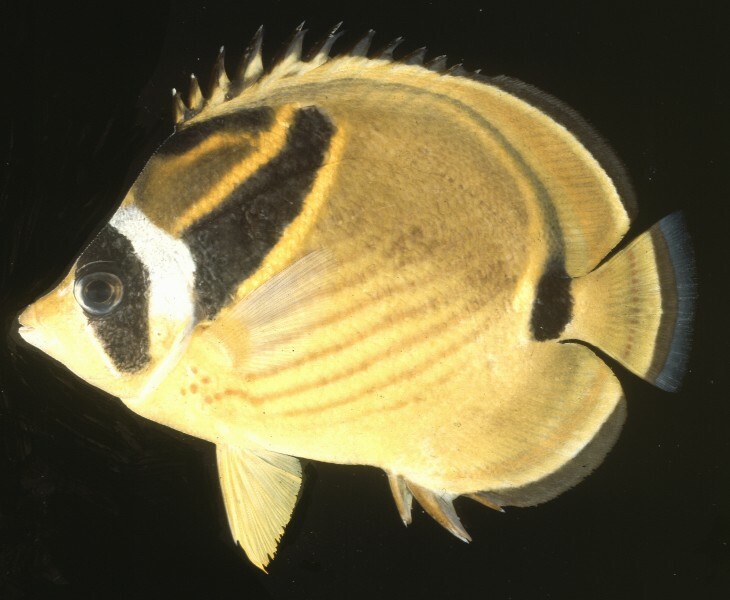 These had previously been included in the subgenus Chaetodon (along with other species from the Western Atlantic) in most morphology based classifications, but Maugé & Bauchot 1984 astutely recognized the distinctiveness of this group and treated it as the subgenus Byssochaetodon. They also included the South African C. marleyi here. 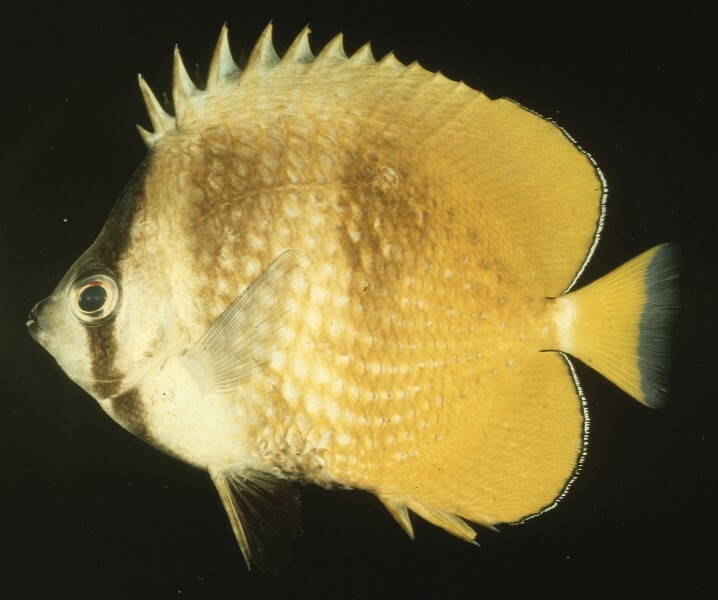 All three occur in relatively deep water for this genus, hinting at similarities to the mesophotic fishes of Roa and Prognathodes. 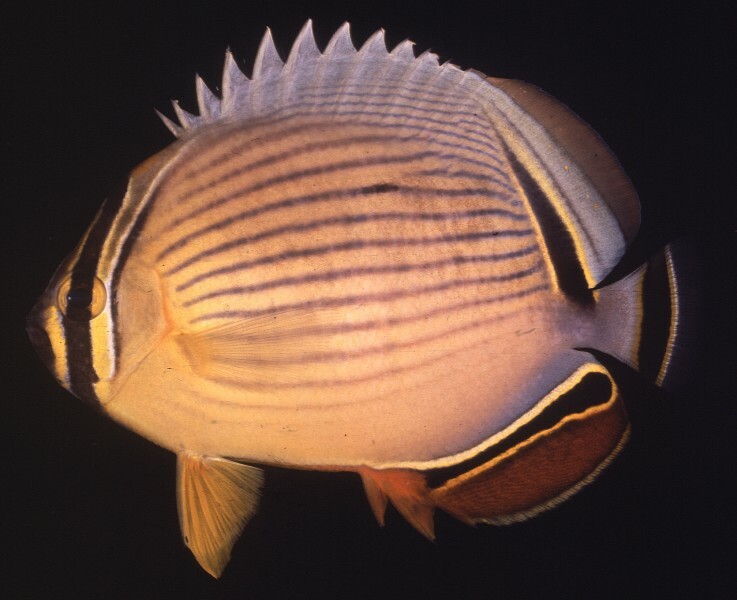 Since all three of these appear to have diverged early on in the evolutionary history of the butterflyfishes, does this indicate that this group originated in mesophotic habitats or have these “primitive” lineages merely been able to hang on better here, having been replaced by other groups of Chaetodon in the shallows? Answers to this are likely to be found in the fossil record. 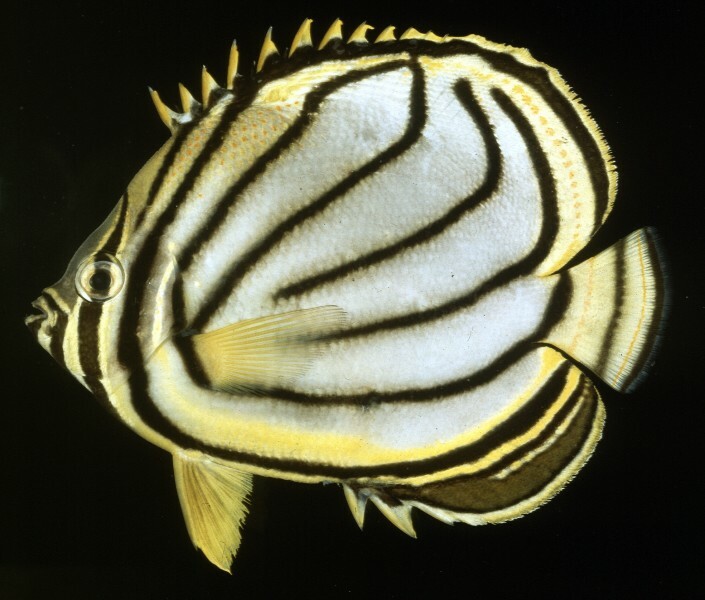 The next major group, rather imaginatively referred to as “Chaetodon clade 2” by Fessler & Westneat 2007, consists of many of the most suitable and popular aquarium species, such as C. kleini, C. tinkeri, C. paucifasciatus, C. citrinellus and C. miliaris. 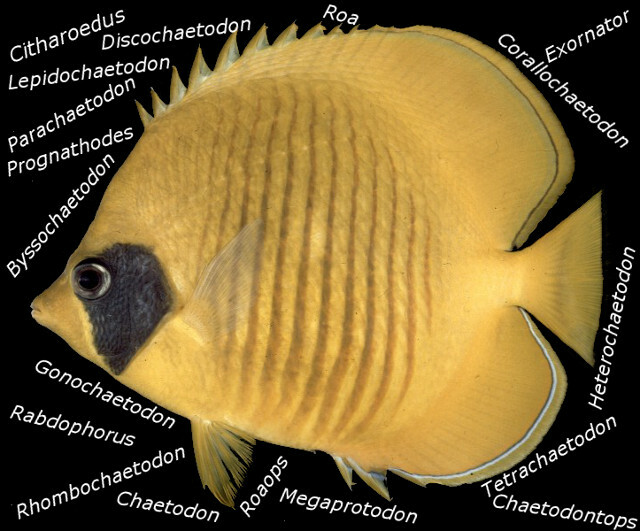 All five of these had previously been placed in separate subgenera—Lepidochaetodon, Roaops, Rhombochaetodon, Exornator, and Heterochaetodon, respectively—but it’s hard to justify the need for such a finely divided classification when these fishes form such a closely related group. 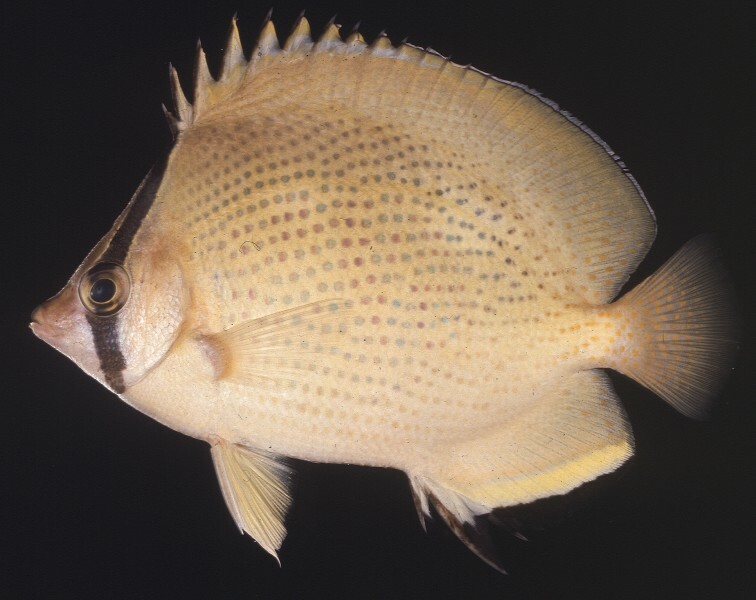 The oldest of these names is Lepidochaetodon, whose type species is C. unimaculatus, and this name would be best applied for all these disparate species in clade 2. Note that ecologically, most of these feed on a wide variety of benthic invertebrates, which helps to explain why so many of these thrive in captivity. Aside from the deeper-water species in “Roaops”, this is mostly a shallow-water Indo-Pacific group. 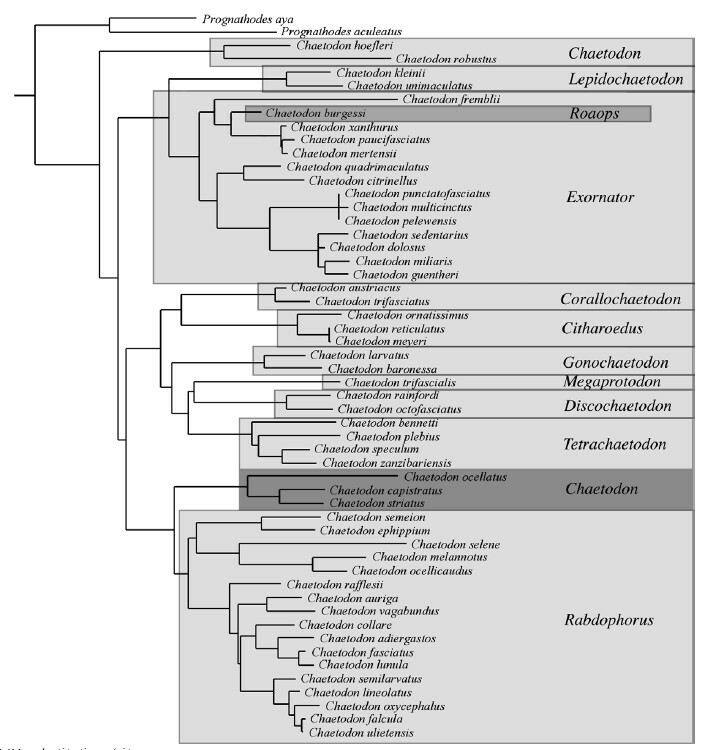 We see a similar situation in “Chaetodon clade 3”, where the subgenera Corallochaetodon, Citharoedus, Gonochaetodon, Megaprotodon, Discochaetodon, Parachaetodon, and Tetrachaetodon group together in a single evolutionary lineage of heavily corallivorous fishes. Included here are a majority of the species deemed difficult or impossible to keep in captivity, largely due to their strict dietary preferences for certain species of corals. Given just how divergent this feeding ecology is, there is an argument to be made that this group and the other three clades might be worthy of separate genus recognition. But, at the very least, these coral-munchers ought to be consolidated under a single name for the sake of clarity. The oldest of this subgeneric nomenclature is Megaprotodon (though Corallochaetodon would have been such a great name). 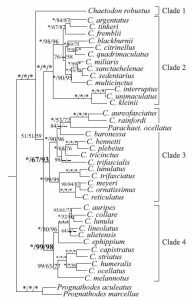 Special mention must be paid to Parachaetodon ocellatus, a species which has bounced around from being recognized as its own genus or its own subgenus, but which now finds itself nestled alongside the similarly patterned C. rainfordi. It stands out for having an omnivorous diet of benthic invertebrates, indicating a unique reversal in feeding strategy that happened here. 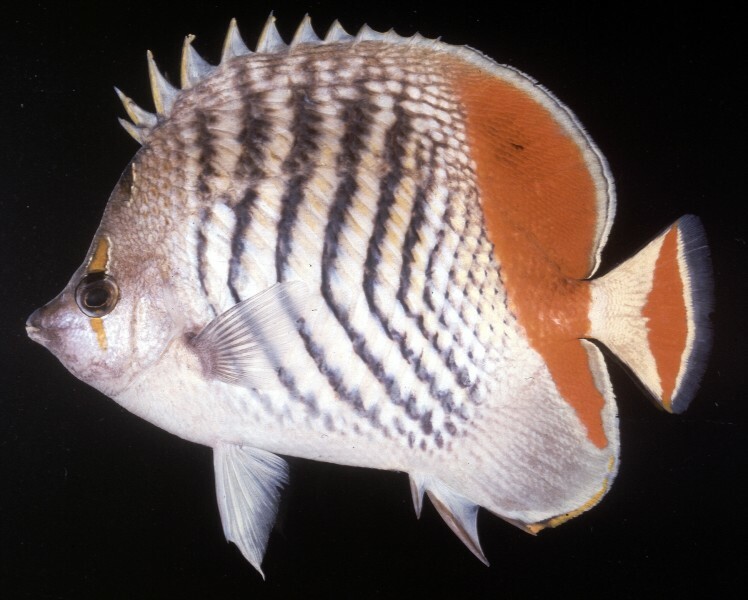 If this fish winds up back within Chaetodon, it’ll have to be renamed, as there is already a C. ocellatus. 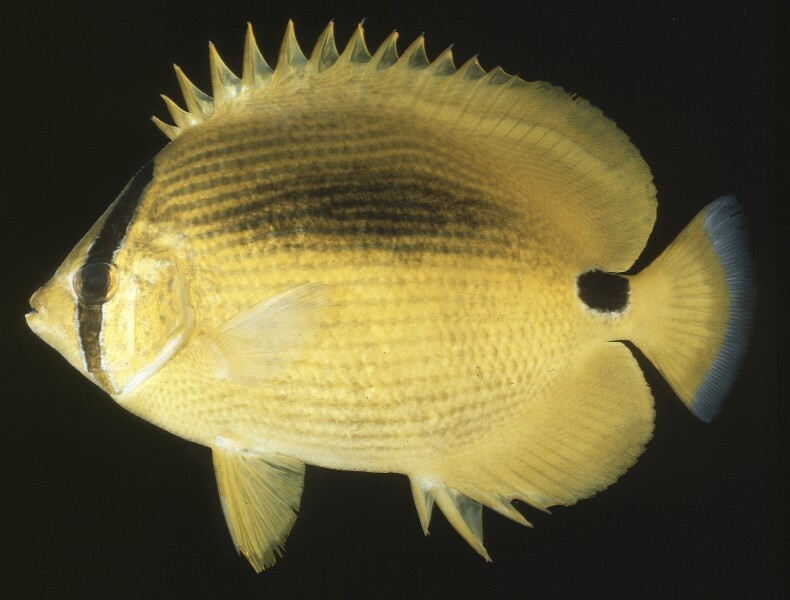 The next oldest name would be Chaetodon (Megaprotodon) oligacanthus Bleeker 1850. 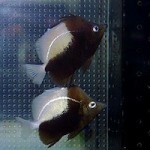 Finally, “Chaetodon clade 4” includes a heterogenous mix of larger species divided into Atlantic and Pacific lineages. 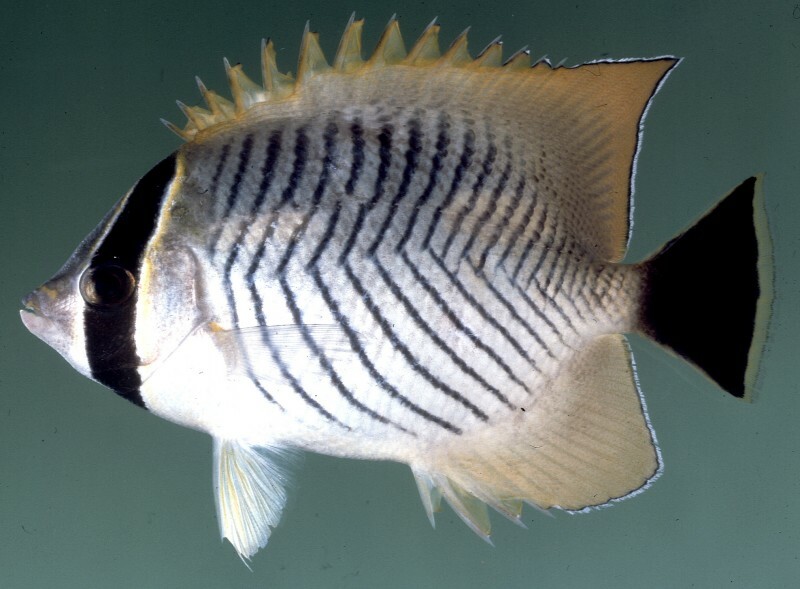 Amongst the four Atlantic taxa is the type species for the genus, C. capistratus, meaning that this entire clade can be treated as the subgenus Chaetodon. 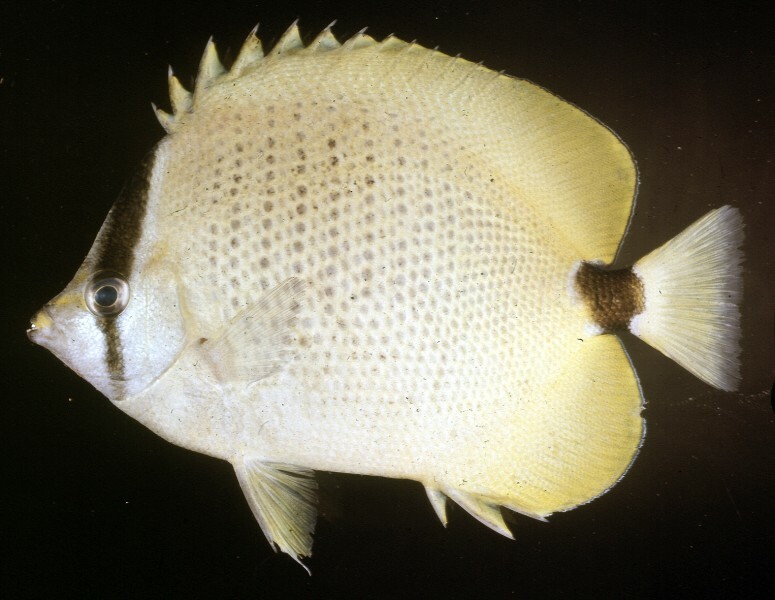 Note that this includes the Eastern Pacific endemic C. humeralis, which speciated here after crossing the Isthmus of Panama and is sister to the Atlantic C. ocellatus. 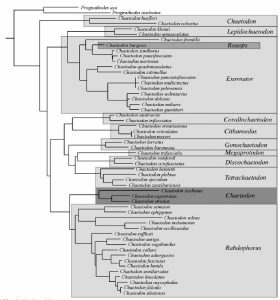 When we move into the Indo-Pacific, we find no less than 29 recognized species divided between a pair of subgenera, Chaetodontops and Rabdophorus. 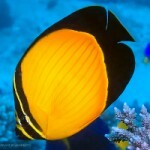 Many familiar fishes find themselves here (e.g. C. lunula, C. auriga, C. semilarvatus), but we don’t yet have a solid understanding for how they all fit together in an evolutionary sense. These are generally benthic omnivores, but C. melannotus is said to feed heavily on soft corals in the wild, tearing out large chunks, which is in sharp contrast to the dainty nips taken by the species of clade 3 that specialize on stony corals. E pluribus quattuor—Byssochaetodon, Lepidochaetodon, Megaprotodon & Chaetodon sensu stricto.